BATTLE CREEK, Mich., Nov. 8, 2018 /PRNewswire/ -- Kellogg has a long history of supporting the military and continues to advocate, recruit and develop veteran employees so they can flourish and thrive. 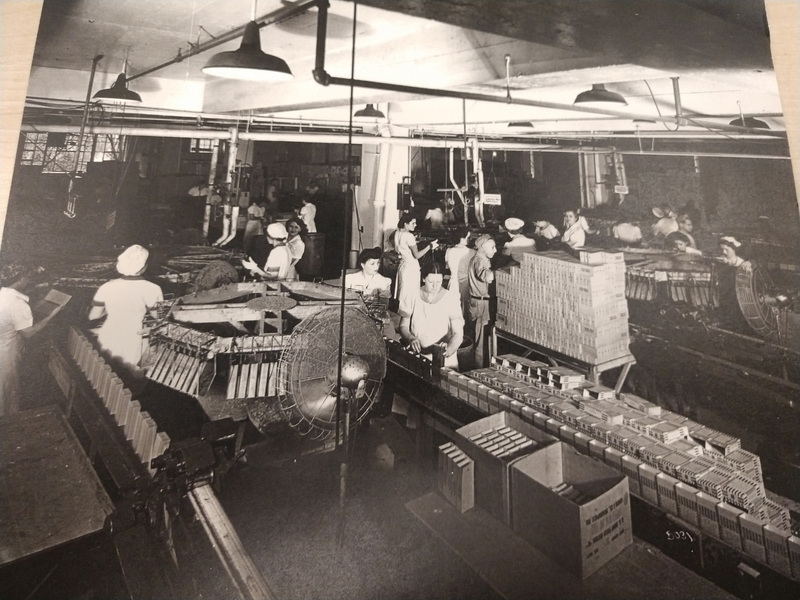 In honor of Veterans Day, Alinda Arnett, Manager, Corporate Records & Archives, Kellogg Company, opens the archives to share a bit of the company's military history. As Kellogg Company's Manager of Corporate Records & Archives, I am fortunate to maintain and preserve the company's deep and fascinating history. Our founder, W.K. Kellogg, laid the foundation for how we run our business and how we fulfill our purpose to nourish families so they can flourish and thrive. Through our K Values, we continue to uphold our founder's dedication to people and their well-being. This includes pushing beyond boundaries and across borders to people serving in the military. 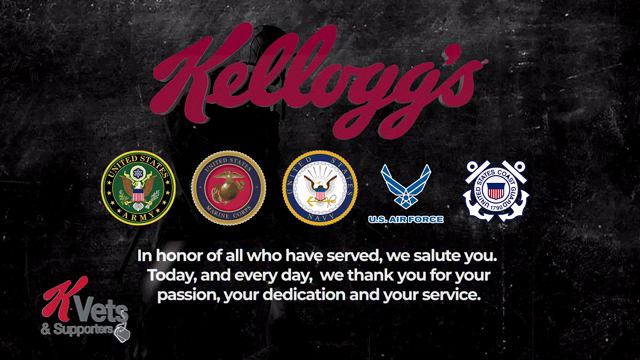 Kellogg has a long history of supporting the military and continues to advocate, recruit and develop veteran employees so they can flourish and thrive. One way the company shows support to veterans is through its Business/Employee Resource Group, KVets & Supporters, dedicated to celebrating military service and recognizing the benefits that can be brought to Kellogg by those who serve. 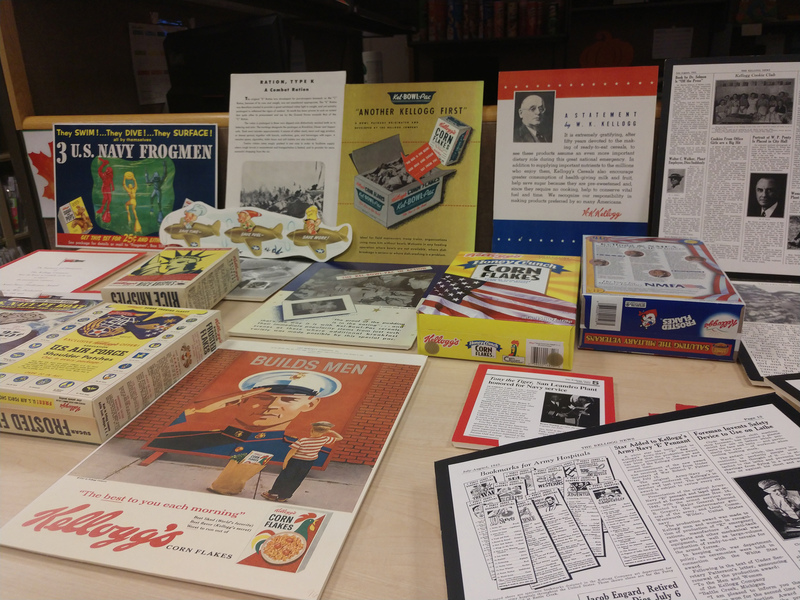 K-rations: During World War II, Kellogg Company employees proudly produced more than 43 million packages of K-rations for the U.S. armed forces deployed overseas. 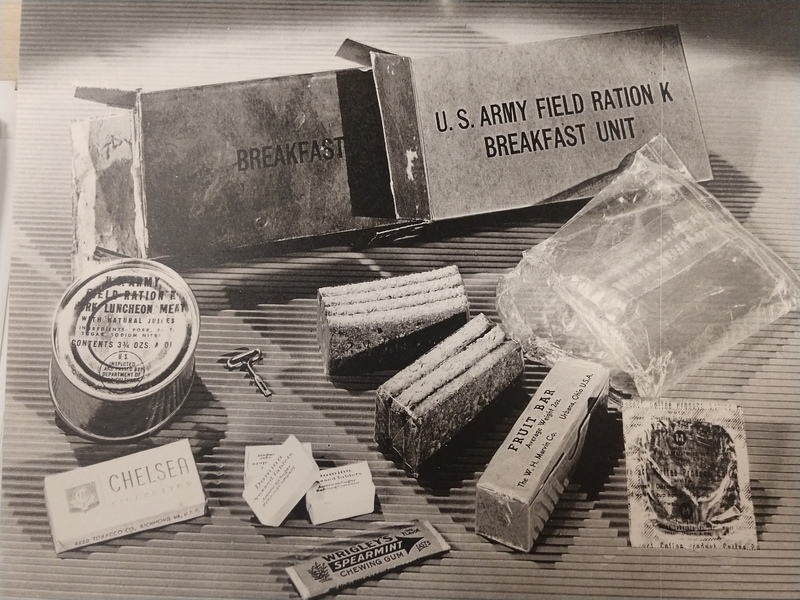 K-rations, or individually wrapped, daily combat food rations, were introduced by the U.S. Army and produced for mobile forces during World War II. Director of Home Economics: In 1923, Kellogg Company became the first in the food industry to hire a dietician. 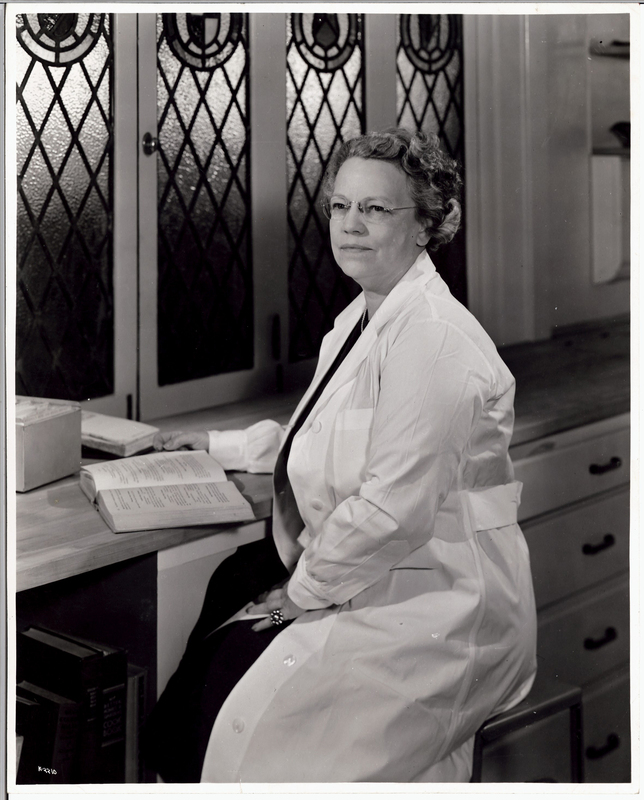 Mary Barber, Director of Home Economics, started the Kellogg's Home Economics Department and began defining the roles different foods played in a proper diet, catching the attention of the U.S. Army. In 1941, Mary lent her services to the Army to serve as Food Consultant to the Secretary of War. She was granted a leave of absence from Kellogg and spent four years in Washington, D.C. She planned meals for one million soldiers, met meticulous guidelines and aimed to ensure the civilian food market was not disrupted. She developed daily menus to include 4,500 calories, for 52 cents a person, and aimed to satisfy varied, regional tastes. In 1945, she received the nation's highest civilian award, the Emblem for Exceptional Civilian Service. Kellogg Cookie Club: During World War II, office employees would spend one evening every other week baking cookies for those serving in the war. They would send these cookies around the world to locations including Australia, Alaska and Iceland. All cookies were made using Kellogg products. 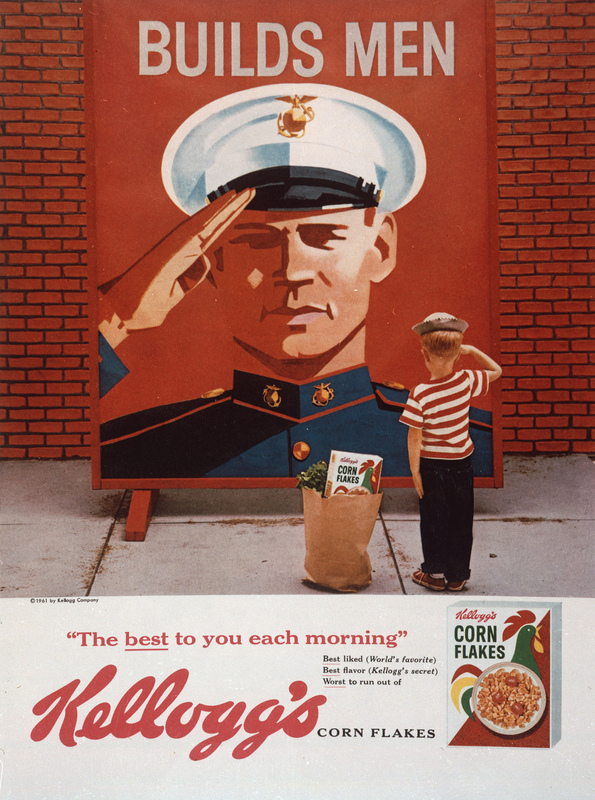 War Bond Participation: During 1943, Kellogg Company was presented with the Bullseye Flag, signifying more than 90 percent of Kellogg employees invested 10 percent or more of their pay in war savings bonds. Patriot Award: In 2012, Kellogg Company was recognized with a Patriot Award for our extraordinary support of employees in the military. The company was nominated by a Marine Reservist employee, returning from Afghanistan, for the company's support before, during and after his deployment. More than 110 years later, we continue to live our founder's values – they are part of our DNA and shape our Kellogg culture. After working at Kellogg for more than 30 years as the company's resident historian, and as a proud aunt to a U.S. Marine, I'm honored to work for such a distinguished and inclusive company.